As I was going to Europe from Australia and because the most interesting flights connect in the UAE, I thought it would be a good idea to spend a night in Dubai. Although you don’t need much time to visit Dubai, one night was too short especially because I was really tired from the 14h flight from Sydney. My first impression of the UAE was in Abu Dhabi (I flew Etihad). We arrived at 5:30am and it was already 35°C outside! I took the bus to Dubai where I arrived in the mid morning and the heat was unbearable. I never felt such a thing anywhere else. It feels like you’re in an oven! As a consequence, it was exhausting to walk into town. Anyway, nobody does that as everybody stay indoor where A/C is running at full power. Being a big fan of walkable cities, I didn’t like that at all. (I still understand why as there are no other way to escape the unlivable heat). 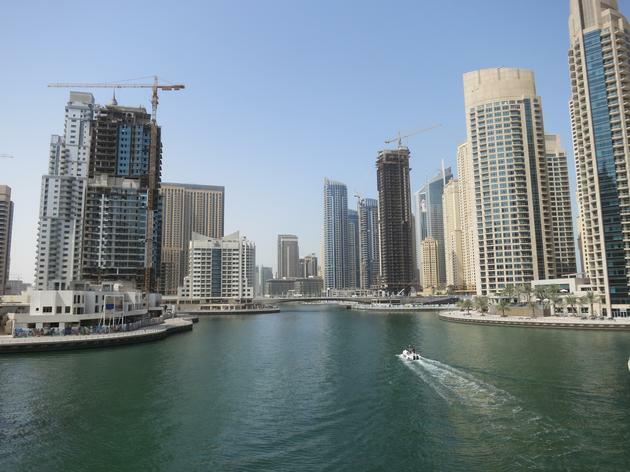 Dubai is not an homogeneous city but is composed of pocket of skyscrapers: the Marina, Downtown,… connected together by a brand new metro system. It can be a long metro ride to connect different part of the city or you can take a car and experience the never ending traffic. I found the Marina much better looking than Downtown but still too much in construction to fully appreciate it. The latter is really limited to the two lines of skyscrapers along the highway and the Burj Khalifa complex. I tried to go to Old Dubai and have a walk around but the heat combined to my fatigue was too much. Things must be really different around January as the Marina has walkable path with cafés on the side. I had booked a ticket online to go up the Burj Khalifa (a third of the price compared to when you buy at the entrance), the tallest building on earth at 828m. The experience is called “At the top” but could actually be called “At the middle” as the observatory sits at 450m. Anyway, the view is incredible and the whole thing is worth it. 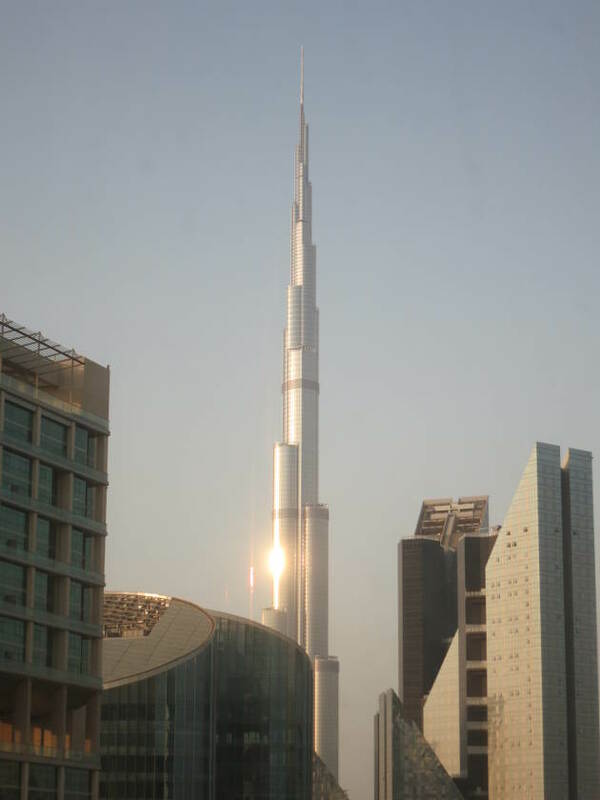 I found the Burj Khalifa to be a real architectural success and one of the most beautiful skyscraper I’ve ever seen. In the end, I found Dubai to be a strange city. The way it is led out combined with the indoor lifestyle (most of the year) and the “in construction” feeling are not my cup of tea. It is very interesting to visit and a testament to Human building skills and perseverance in a harsh environment but not a place where I would live.